This Sunday we commemorate Sts. Cyril and Athanasios. Who were they? Both me fought valiantly against the heresies (false teachings) in the first centuries of the Church. 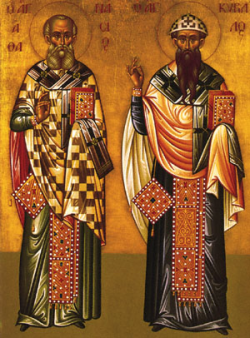 St. Athanasius fought against Arianism (he was one of the authors of the Nicene Creed) and St. Cyril fought against Nestorianism. In the half-century after the First Ecumenical Council held in Nicea in 325, if there was one man whom the Arians feared and hated more intensely than any other, as being able to lay bare the whole error of their teaching, and to marshal, even from exile or hiding, the beleaguered forces of the Orthodox, it was Saint Athanasios the Great. Saint Cyril was also from Alexandria, born about the year 376. He was the nephew of Theophilus, Patriarch of Alexandria, who also instructed the Saint in his youth. Having first spent much time with the monks in Nitria, he later became the successor to his uncle’s throne in 412. In 429, when Cyril heard tidings of the teachings of the new Patriarch of Constantinople, Nestorius, he began attempting through private letters to bring Nestorius to renounce his heretical teaching about the Incarnation. 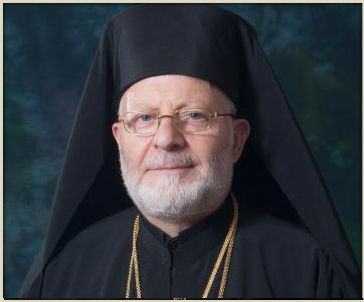 Read the complete history on the Greek Orthodox Archdiocese website. If you would like your house blessed, please contact Fr. Hans or fill in the form on the website. Read the entire letter on the St. Peter website. 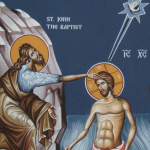 Get more information on the Antiochian Archdiocese website. Let’s support our sister parish of St. Paul’s at their Founder’s Day Celebration. Perhaps we could reserve a table or two. And as they went they were cleansed. Then one of them, when he saw that he was healed, turned back, praising God with a loud voice; and he fell on his face at Jesus’ feet, giving Him thanks. Now he was a Samaritan. For Thou are justified in all that Thou hast done for us. Brethren, remember your leaders, those who spoke to you the Word of God; consider the outcome of their life, and imitate their faith. Jesus Christ is the same yesterday and today and forever. Do not be led away by diverse and strange teachings; for it is well that the heart be strengthened by grace, not by foods, which have not benefited their adherents. We have an altar from which those who serve the tent have no right to eat. For the bodies of those animals whose blood is brought into the sanctuary by the high priest as a sacrifice for sin are burned outside the camp. So Jesus also suffered outside the gate in order to sanctify the people through His own blood. Therefore, let us go forth to Him outside the camp and bear the abuse He endured. For here we have no lasting city, but we seek the city, which is to come.